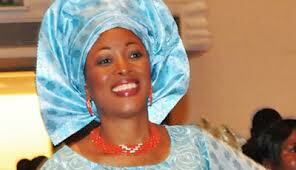 The Deputy Governor of Ekiti State, Mrs Funmilayo Olayinka is dead. She died yesterday in a Lagos hospital. Mrs Olayinka had been battling with cancer before losing the battle yesterday evening. She was known to have championed women's rights all through her life. She was 52. She is survived by her husband and children. What a shame. Such a pretty woman. May her soul rest in peace.